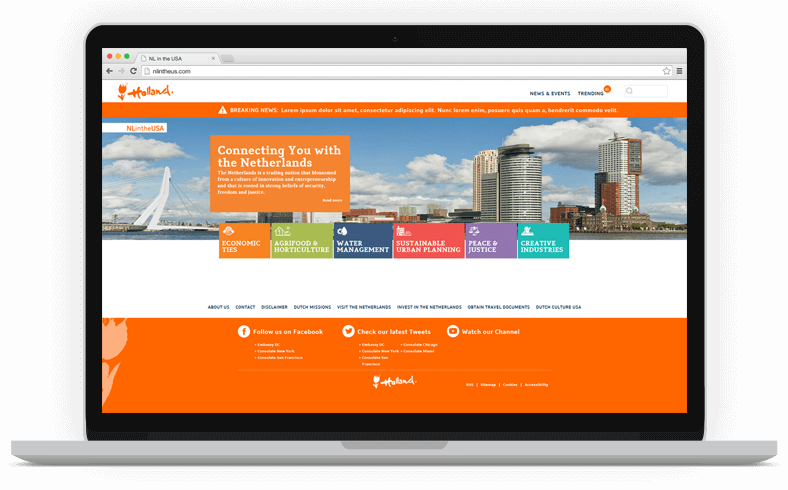 Mobomo recently launched the new website NLintheUSA (Netherlands in the USA). The Embassy of Holland was looking to improve the cosmetic appearance of their site. They were seeking to make it user friendly and more appealing to the eye. They were hoping these changes would improve the relations between the two countries as well as foster cultural exchange, business opportunities, and promote Holland’s leading role in the scientific and technology fields. There are many aspects that stand out on this site. The colorful palette is probably one of the first things that you notice, we wanted to incorporate vibrant colors as it is representative to the the diversity of the Dutch community and their cheerful, polite manner. But the most remarkable feature on their new site is the high-quality custom made infographics and illustrations that accompany the different sections. Aside from adding a creative to appeal to the eye, each infographic specifically illustrates the content that is on the site, making the reading pleasant and swift, and ensuring high memorability of the content. We created over 54 infographics, and for those of you who are not designers, each infographic could take anywhere from 1-16 hours to create depending on the complexity. 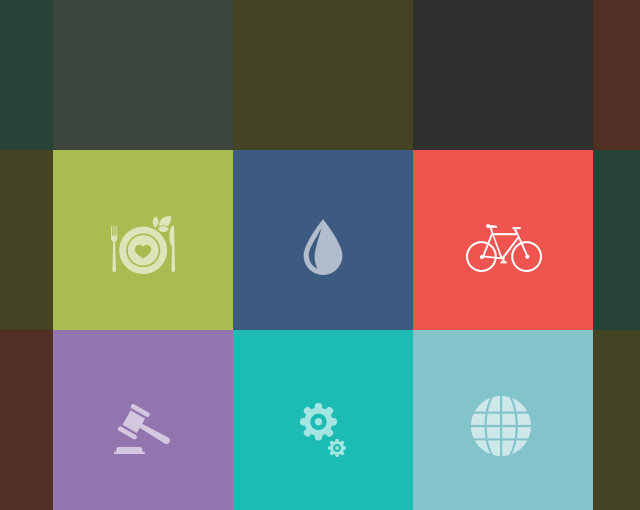 Each infographic was tailored to Holland’s landmarks, architectural structures, and cities. We designed some infographics that are not yet on the site because the client decided to highlight a different aspect of the text, other times new pieces of content replaced old ones. The infographics that we created that aren’t currently on their website are stored in a resource library so that they can be used in the future whenever the site needs to be updated. For now, they can be used in collateral pieces such as brochures, posters, postcards, etc. Our design team worked closely with Holland’s team every step of the way, through the creation of the infographics to the revisions and now to the launch, we were all committed to the end goal. The most remarkable feature on their new site is the high-quality custom made infographics and illustrations that accompany the different sections. Aside from adding a creative to appeal to the eye, each infographic specifically illustrates the content that is on the site, making the reading pleasant and swift, and ensuring high memorability of the content. There are many aspects that stand out on this site. The colorful palette is probably one of the first things that you notice, we wanted to incorporate vibrant colors as it speaks of the diversity of the Dutch community and their cheerful and polite manner.